These cases are made of good quality PU leather material which is waterproof and durable to provide maximum protection. Special design with anti-shock EVA padded inside protects your device from dust, bumps, shock and scratches. 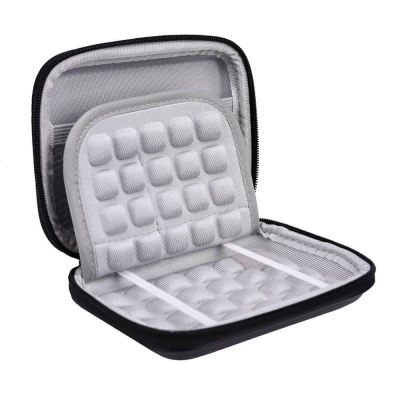 It is very suitable for you to store your earphone, data cable, HDD, portable power source, etc. Compatible with 2.5 inches HDD, such as Western Digital WD, Seagate Backup Plus Slim, Toshiba Canvio Basics, etc.